Zynga is looking to offer an alternative to playing its titles on Facebook. Despite some legal woes and a drop in shares, Zynga has announced its intention to launch its own online portal, allowing customers to play its many titles without having to use Facebook. Currently scheduled to go into beta later this month on Zynga's website, the social games company hopes to include third-party content along its current lineup of games including CastleVille, FarmVille, and Words with Friends (or as I like to call it, Words with Nemeses). Two US Studios, Mobscience and Row Sham Bow (creators of Facebook games inFamous Anarchy and Woodland Heroes respectively) have already signed up to use Zynga's new service. Zynga's chief operating officer John Schappert has also promised that all "the technology and game development services that Zynga has built specifically for building and scaling social games," will be available to any interested third-party developer. In return for providing its framework to third-parties, Zynga will be taking a cut of any virtual items sold through its site. 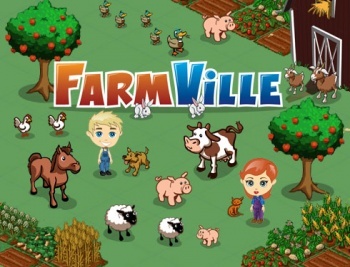 Zynga won't entirely be jumping ship from Facebook, however. Currently, about 90 perecent of Zynga's income comes from microtransactions done through Facebook, and its current payment system for Zynga.com will be Facebook credits, which will continue to give Facebook a cut of the action for each transaction.